There's a Scientist in my Classroom! There's a Scientist in my Classroom" is based on the workshop "Telling Your Story", developed by TERC and funded by COSEE-NE. Phoebe Cohen further developed this workshop. ...because everyone wants a scientist or engineer in the classroom. introducing them to professional scientists and engineers! Why should you care about scientists in classrooms? Science, technology, engineering, and math (STEM) students often ask, "what does this stuff have to do with me?" There's a Scientist in My Classroom brings teachers and scientists together to answer the question. Many scientists and engineers wonder how to reach others with their work. Many teachers spend a long time struggling to ignite their students' interest in science. When scientists and engineers work together with teachers, it only takes one day to change the way kids think about science. We help put scientists in classrooms to give students an inspiring look what real scientists and engineers are like. Our networking workshop supports K-12 teachers and STEM professionals* by giving them a unique opportunity to meet and collaborate to craft fun, memorable, engaging classroom visits. We help you do more than bring scientists into the classroom - we help you bring science and scientists to life. STEM teachers…what's in it for you? Meet STEM researchers and engineers who are doing the research that may end up in future textbooks, and who want to come to your class to help inspire your students. Learn more about cutting-edge STEM research and real-life engineering challenges. Help STEM researchers and engineers prepare an effective classroom visit that inspires your students while also connecting to Massachusetts learning standards. STEM researchers and engineers…what’s in it for you? Get support from STEM educators who want to help you visit their classroom - receive feedback and help from teachers, as well as planning checklists and tips. 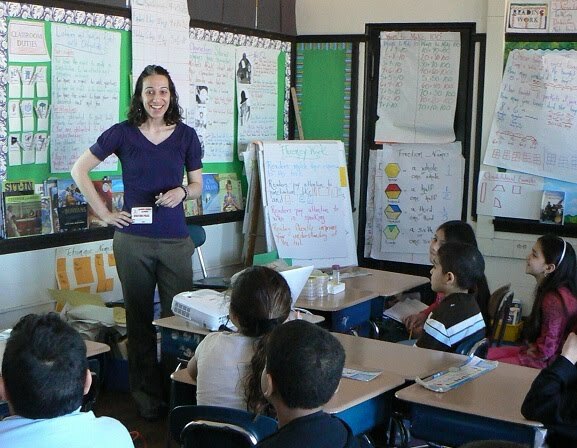 Create specific hands-on activities to do during classroom visits that will connect your exciting research with Massachusetts learning standards. Learn how classroom visits can help meet your department's outreach goals and have a broader impact. * This workshop was modified from “Telling Your Story” Workshop materials developed by TERC for the Center for Ocean Sciences Education Excellence - New England.